Watching The 400 Blows for the second time I remembered things from my adolescence that I had long forgotten. These were not dramatic, life altering episodes but rather personal moments that add up to create an impression of life. This is what cinema can aspire to. Art is reproduction, it is not life. All it can hope to do is create impressions, and François Truffaut’s first and probably best feature film creates a terrain of childhood that we have all traveled, even if we’ve experienced it differently than young Antoine Doinel. After all, we are on some level lost children on a beach, returning to the elements in search of our freedom and place in the world. I did not have the wild adolescence of Antoine Doinel. I never stole money from my parents, never skipped school. I was raised to be docile, to observe, and was made (either by my insecurities or by instruction) to please others when asked, and I could still relate to and sympathize with the misunderstood and grossly underappreciated Antoine, never believed by his parents, abused through indifference by them, a scapegoat for teachers, and even betrayed by in his friends in moments when the blame for a class prank falls directly on the boy’s shoulders. It is no wonder Antoine cannot conform to society. He’s a bright kid who remains loyal, who never rats out his friends or his cheating mother and who always is under pressure of being caught. For what? His lying of course—Doinel is not a perfect kid—but society has set it up so that he is always the villain. His is punished for his precocious nature; that he wants to understand and finds it difficult, that face-value is meaningless to him, that he has seen too much arguing between his parents and knows so much that someone so young, in their developmental stages, shouldn’t know will curtail his innocence. But for all the ugliness and cruelty Antoine experiences there is always Truffaut. I often forget just how great a filmmaker he was. I’ve seen all of his movies, many of them have left indelible impressions on me, but for some reason I always recall many others directors as favorites before remembering Truffaut. His films contain a magic called joy. There is always a zeal for life, a craving never satiated though always pursued, that gives his work a momentum and passion that can only be truly appreciated when actively watching his films. They are hypnotic. They are experiences offering glimpses of life as it should be, as it should feel, and these impressions are among the greatest works of art of the latter half of the 20th Century. The 400 Blows may be his masterpiece, but Small Change (or Pocket Money, its UK title) is the other work of his that I truly think is just great. In both films one can see a motif that permeates much of the director’s work: his love of children, their unbiased look at a world that has fashioned itself on antiquation. The 400 Blows is a more tragic film, made at a time in Truffaut’s life when one can argue that as an artist and as a human being he was coming into his own. Small Change was made many years later, when the director had children of his own and we can guess having gained insight into his parents, his teachers, his world that were before too close to be obtained. An aspect of the film I loved so and was grateful to have experienced vicariously was the close friendship Antoine shared with his schoolmate René. I did not have friends as a child, never learned how to make them being the younger brother and youngest of all my cousins. I was always with them as a baby, and when they entered school and made their own friends I was lost. Here I could experience a close, apparently life-long friendship (René is based on Truffaut’s best friend) that is as strong as any emotional bond ever described in a movie. These kids, so small and so cute, are there for each other. When Antoine repeatedly runs away from home René at first sneaks him into his uncle’s abandoned factory then into an obscure room in his spacious and beautiful apartment. He brings Antoine food and travels by bike to pay a visit when Antoine is sent to reform school. They skip school together and stand up for each other. When Antoine is expelled, René gets himself suspended to stick it to the teacher. There are beautiful moments like this throughout the picture and for me to describe them here is a waste. My words could never do justice to the atmosphere of Truffaut’s moving images. But one more point on a similar subject. I loved the sense of childhood Truffaut created in the film. There’s one shot filled with humor and honesty and brilliance as a gym teacher takes Antoine’s classroom on a jog through Paris. Little by little patches of children run off, and thanks to one continuous overhead shot we follow the aloof teacher as his line of children gets smaller and smaller. Such an energizing image is indicative of the playfulness and inventiveness of The 400 Blows. This is a very important film. Its greatness aside, historically cinema after 1959 might have been entirely different if Truffaut and his New Wave colleagues had not tried new things with the medium. A movie like this, of its reach, would not have been possible in a more structured filmmaking environment like France in the 50s, or Hollywood throughout the Golden and Silver Ages. The 400 Blows derives its power from it spontaneous and crude cinematic qualities, the honesty of its writer’s story and Truffaut’s love of being alive, indulging in his passion for freedom and the movies. 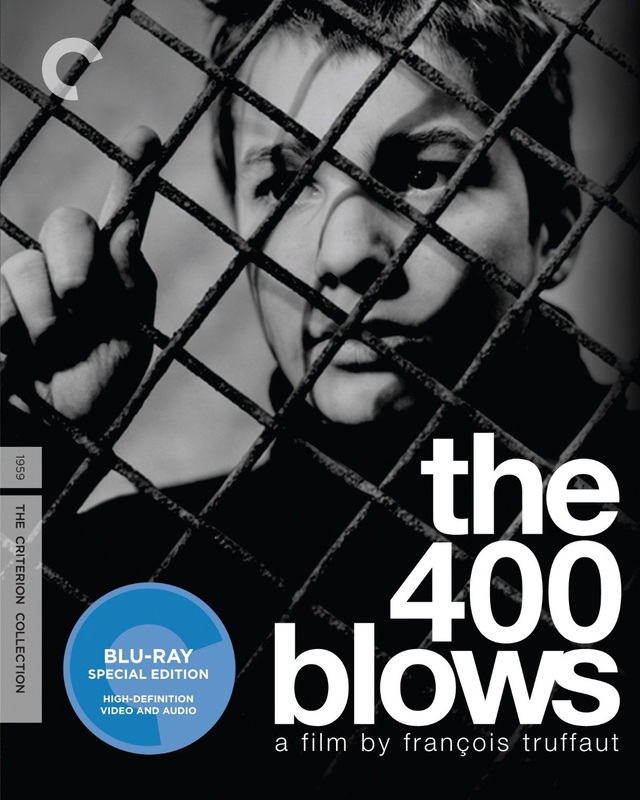 The dichotomy is that without the past The 400 Blows could not have been made. We see that in Doinel’s love of Balzac and his stealing of a still of Harriet Andersson in Summer with Monika. How great must it have been to be young and in love with cinema in the 1960s. The passions involved in making movies, arguments even revolutions being made in defense of one’s heroes and the conviction that movie goers wanted something more than cheap entertainment is something that we likely will never have again. We do have though the physical films still, and these are enough to inspire us still, but I’m afraid something has been lost. I hope I’ve done the film right by my words. I have related as best I can my immediate reaction to this marvelous picture, but I know I have not given a clear statement about what the movie is about. This is in part intentional. The 400 Blows and indeed many of the more adventurous New Wave films were radically different from traditional filmmaking, their storytelling raw and style crudely cool. The story is told through a series of events, one building upon another in a chapter-like way. There are no big story twists; a melodramatic event like Antoine seeing his mother kissing another man is treated as just a troubling fact of life that is best kept secret, partly to keep peace and also for leverage if the need would arise. These are the insights Truffaut has, and it is what makes all of his films and especially The 400 Blows so painfully beautiful. Above all though, the film allows us to recall our own childhoods, and what can be more beautiful or painful than that?